The changes for 2020 came from tracks working together with NASCAR. There’s rules preventing NASCAR from moving a locked in date by more than two weeks. But, the tracks were open to change and helped them make some bold changes with the contracts still in place. In 2021, a bulk of those track agreements are set to expire. That will open the flood gates wide open for the sanction and give them the option to really shake up the schedule. However, leading up to the 2020 schedule release, there was talk about adding mid-week races. There’s only so many race weekends in a season. Adding mid-week races could present the option to nearly double the number of events. It would’ve also opened the door for NASCAR to visit some new tracks before 2021. It wouldn’t have doubled the schedule. But, it would have allowed NASCAR to pack more races into a shorter season. The season would have ended earlier (with a similar number of races) where NASCAR isn’t competing with Football at the end of a season. That’s the selling point that the drivers council offered when the idea was presented. But, the 2020 schedule has been released. There’s no mid-week races installed. 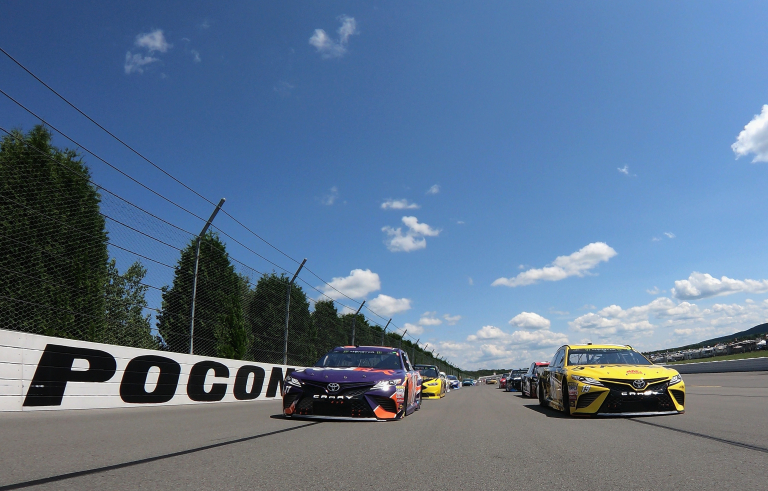 Instead, there’s one double-header weekend at Pocono Raceway. But, how come they didn’t go with mid-week races for 2020? “We had a lot of deep conversations about mid-week races,” Steve O’Donnell said during a mid-week press conference.